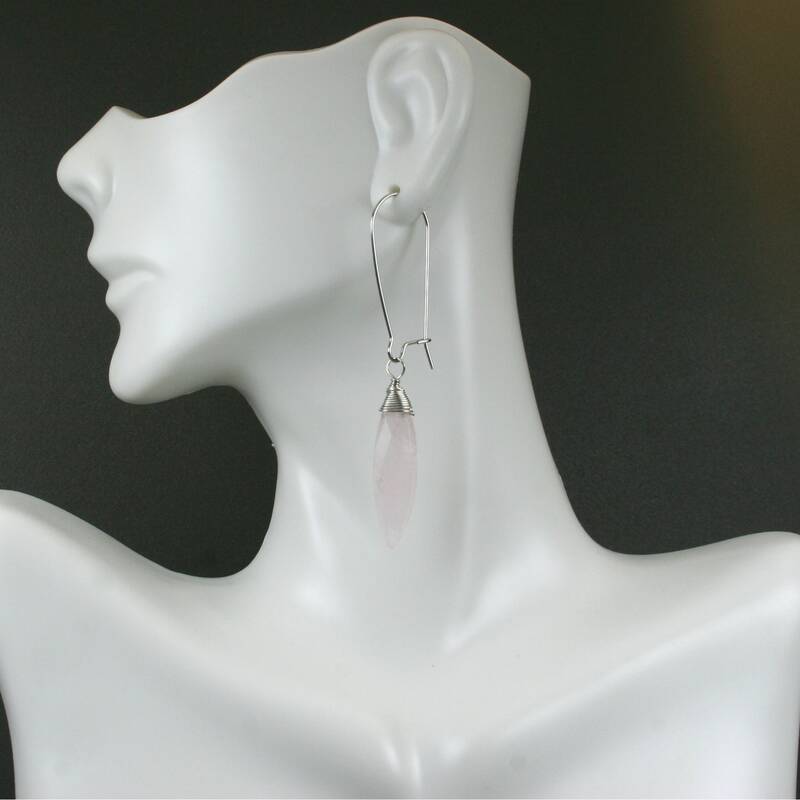 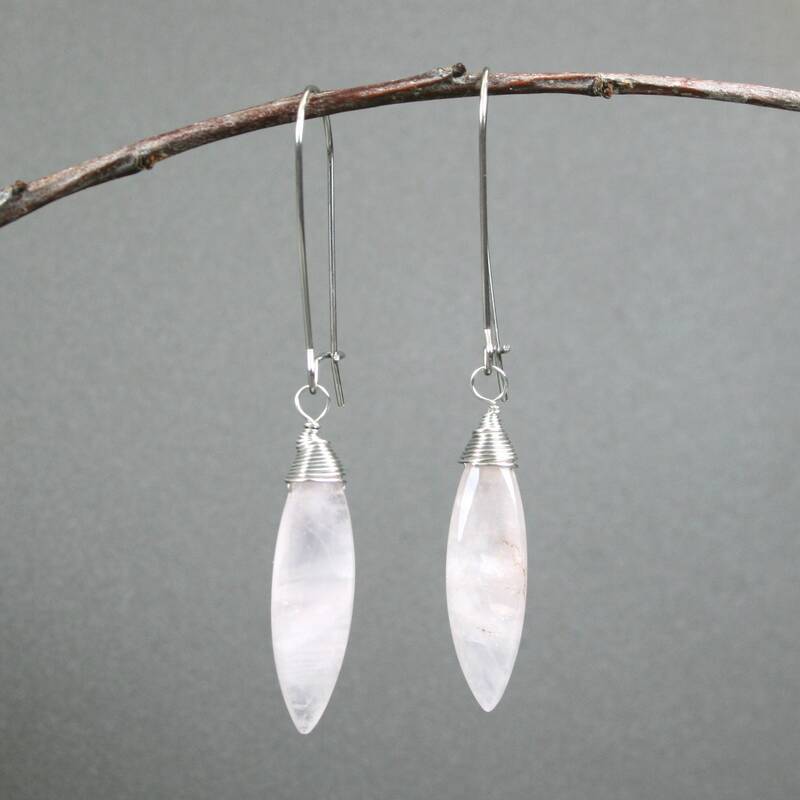 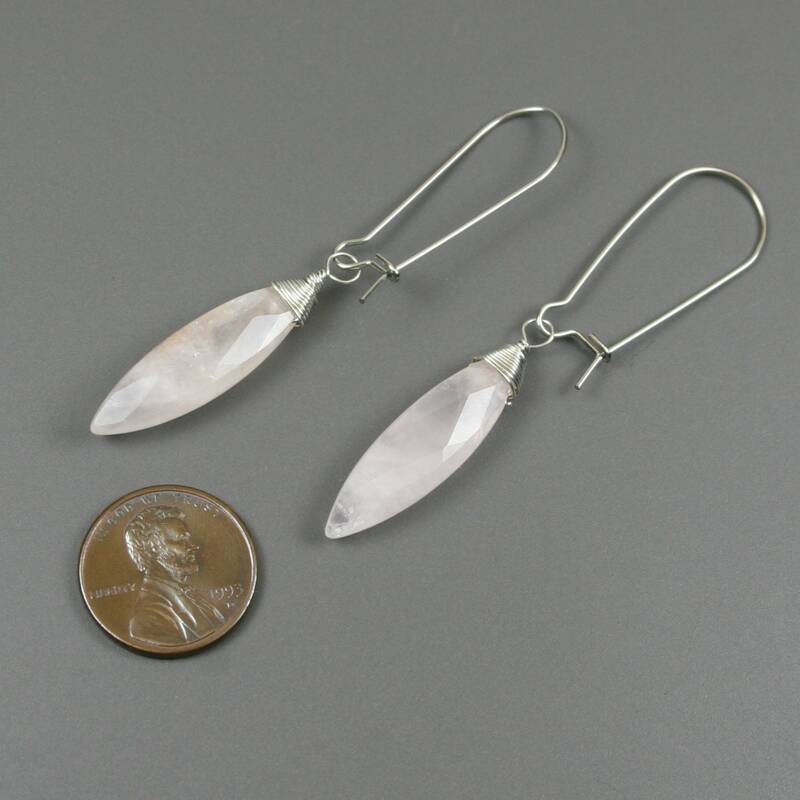 Each earring contains a 30 x 8 mm long faceted rose quartz stone that is wire wrapped with silver finished copper wire and attached to a kidney-shaped latch back stainless steel ear wire. 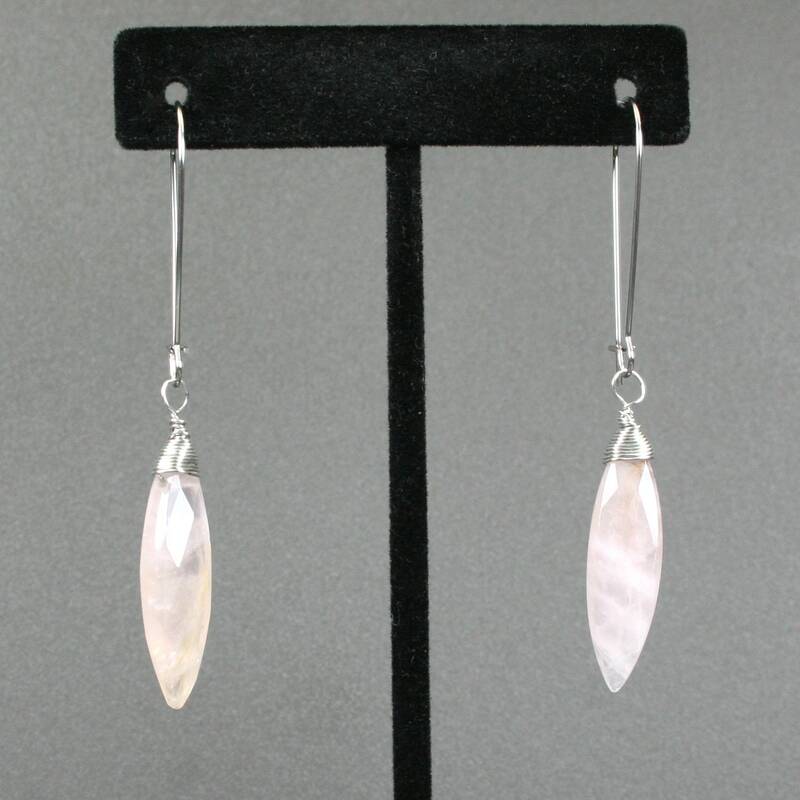 The bottom of the earrings dangle approximately 2.5 inches from the top of the ear wire. 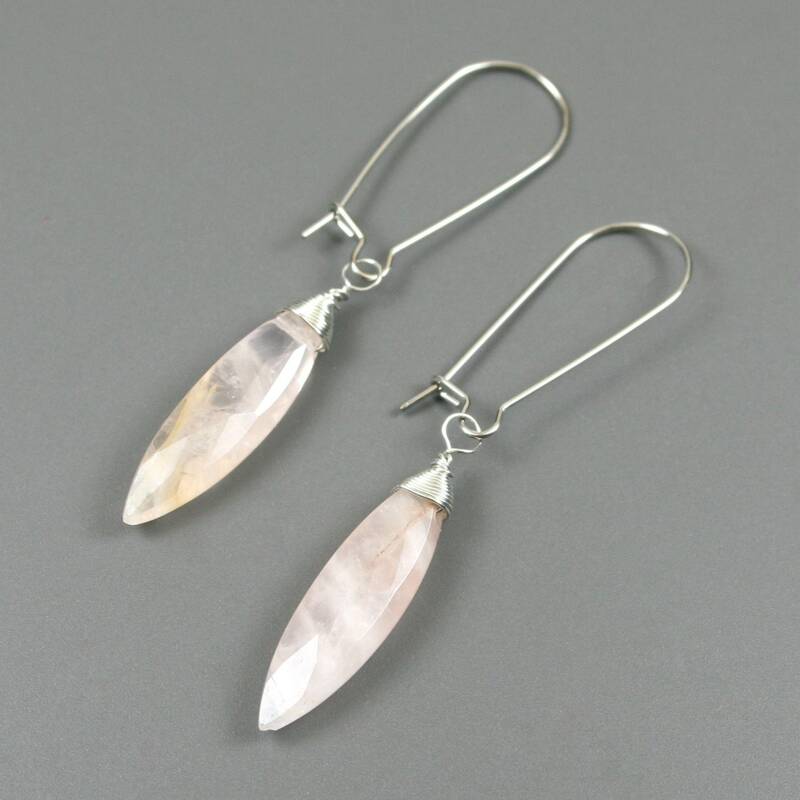 These are natural stones and contain varying amounts of natural brownish discoloration as can be seen by the various examples shown in the different images.